In the Tampa Bay region, “the gap between black and white home ownership is widening,” notes Susan Taylor Martin in the Tampa Bay Times. In 2007, 46.6 percent of Black families owned their homes in the region, compared to 77 percent of whites. Now, the rate of home ownership for Black residents is 32 percent, while the rate among whites remains over 70 percent. “Everybody took a hit when the marked crashed but since the market rebounded, African Americans are the only race that has been declining,” says Travis Brooks, president of the National Association of Real Estate Brokers, a real estate trade group that was founded in 1947 to help Blacks become homeowners and fight against Jim Crow segregation. 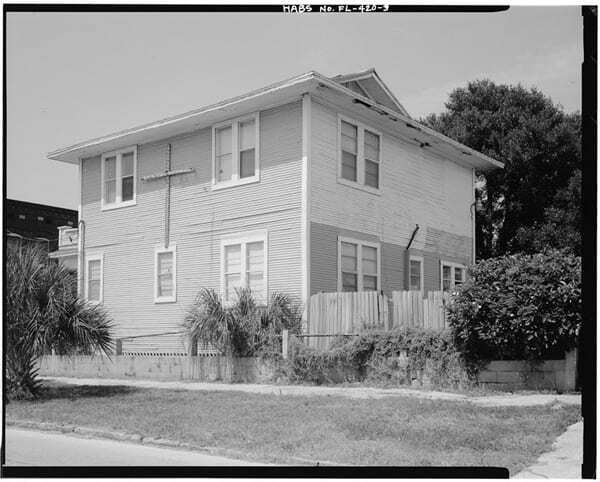 The 1968 Fair Housing Act, as Martin points out, made it illegal to refuse “to sell or rent a dwelling to any person because of his race, color, religion, or national origin.” But, as Martin explains, two practices in particular have maintained the gap—“steering,” which is guiding prospective buyers to or away from certain areas based on their race; and “redlining,” denying loans in certain areas, especially inner-city neighborhoods. Today, Blacks remain far more likely than whites to be rejected for conventional mortgages, according to an exposé published last February by Reveal, a project of the Center for Investigative Reporting. (A more detailed white paper, on which the article is based, is here). Martin notes that Reveal also found that banks, required by the Community Reinvestment Act (CRA) to lend more money in low- and moderate-income areas, often loans to white newcomers rather than long-time Black residents. As NPQ’s Rob Meiksins notes, there are many holes in CRA. The law passed in 1977 and the financial world has changed greatly since then. Banks, for instance, now originate only 43.9 percent of home loans; non-bank loans are not covered by CRA. Income disparities also help keep Black home ownership rates in Tampa low. In the Tampa region, Black households earn about $31,000 a year compared to $51,100 for whites. “We’re losing a lot of our affordable housing options, and with interest rates rising, we don’t have a lot of products out there for low-to-moderate income families,” says Brooks. Then there are the matters that the Reveal article highlights, such as the use of credit scores, which are exempt from federal Fair Housing reporting requirements. “Lenders,” observe Aaron Glantz and Emmanuel Martinez in Reveal, “have deflected attempts to force them to report that data to the government, arguing it would not be useful in identifying discrimination.” Of course, without the data, it is hard to dispute this. What can be said is, as one study written by Lisa Rice and Deidre Swesnick of the National Fair Housing Alliance puts it, “Our current credit-scoring systems have a disparate impact on people and communities of color.” Among their recommendations is transparency in how credit scores are used to evaluate loan applications, as well as modifications in how scores are calculated. Ownership is often seen as a simple matter of possession. But the rights of ownership are not fixed. Achieving social and economic justice is not just a matter of changing who owns assets; it requires changing what ownership means. NPQ will be exploring these issues in more detail on a special webinar on Thursday, December 13th, at 2 pm Eastern. Don’t miss out on what this set of tools can bring to your community-strengthening practices.